Several students of Dundalk's newest music school Grow Music competed at the Newry Musical Feis last week and played and sang "so confidently" according to music tutor and Grow Music founder Heather Oakes. The proud music teacher added: "Well done to the students and teachers Andrea, Dominique, Cliodhna, and Heather for all their hard work and achievement! 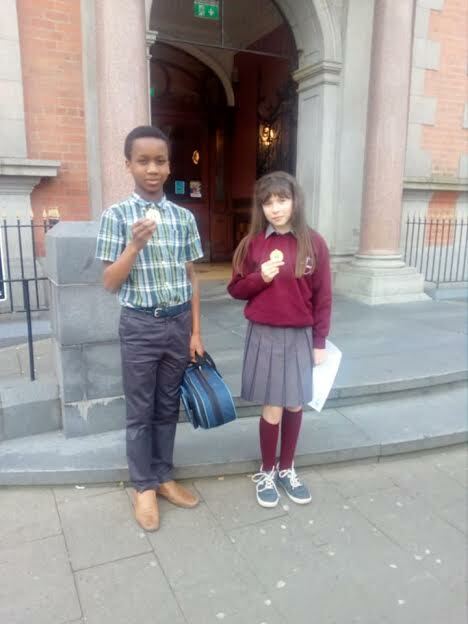 "Among them, our grade 1-2 violin duet, Manoah Adenlete and Michelle Gartlan-Kerr, placing first, brought home gold medals. Our grade 3 violin duet, Clodagh Cullen and Beile Sun won bronze." Ms Oakes added: “We’re looking forward to our unique, exciting Showman Camp July 15 to 19 in Ballymakenny College, featuring our amazing music coaches and special guests, Dublin Circus Project. Grow Music is Dundalk’s newest music school, also known as the An Tain Arts Centre School of Music. They teach from ages four years old to adults. Amongst the instruments they teach are: piano, violin, cello, viola, voice, guitar, ukulele, drums, tin whistle and fiddle. And new this year is the Wunderkeys for preschool piano and chamber music for strings. Grow Music School’s next recital will be held on May 12 at An Tain Arts Centre, Dundalk. Grow Music aims to be the most responsive, warm and friendly school of music in the Irish North East. Our focus is on meeting our student’s musical needs first. Their experienced music teachers are intuitive, and students become proud and confident musicians. Grow Music was founded by the talented musician, Heather Oakes.